100 Words, 100 Days: Day 64. 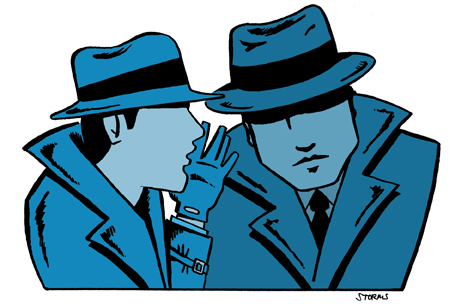 On Spy Stories. | What I think About When I Think About Writing. This entry was posted in 100 Days, 100 Words, Books, Movies, Reading, Television and tagged BBC, George Smiley, James Bond, John le Carré, Spooks, Spy fiction, Tinker Tailor Soldier Spy. Bookmark the permalink. I wonder how we ever decided that secret agent, and spy were the same thing? Typically a “spy” is a person who gets into a position and stays there, reporting through various means, what he or she learns. It’s a long-term commitment. An agent, or operative, is more likely into attacks upon people or other targets. Bond, James Bond, would not be a spy. He’d be an agent. And a very destructive one, at that. Get you some “Charlie Muffin” books by Brian Freemantle. Charlie is a survivor. Also some “Philis” stories by Ritchie Perry. Good, fun reads.